Nestled into the beautiful countryside of Worchestershire is Top Barn Farm A unique farm which hosts many fascinating projects. Apart from the 60 or so business units, there are special facilities for youngsters with learning challenges. Also a training unit for those who are older and need support with living independently. It was wonderful to meet some of the youngsters showing me the precious plants they were growing. The farm visit is obviously a highlight in their lives. A watersports lake has been created. It is popular during the summer months and beyond. Seminars can be held on site and there is an excellent farm shop. 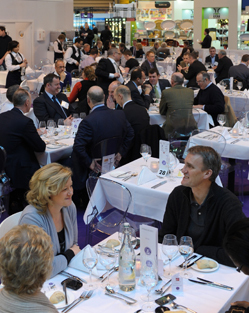 There is an Activity Centre with a variety of events to enjoy. There are “fields of fun” and mazes, plus farm-trailer tours. Campers are welcome and there are special family areas for youngsters to enjoy a day out. If your interest is fishing, there’s ample opportunity for that too. David and Di Harper, the owners/managers, have enjoyed farming and bringing up their family at Holt Heath since 1967. However, David’s roots in the local community go back further as he spent his childhood living in beautiful Holt Castle. David has always felt privileged to be able to enjoy the countryside in Worcestershire. He delights in the opportunity to share his love of the countryside with visitors to the farm. David and Di are actively involved in Farmers Overseas Action Group (FOAG) This organization sets up agricultural and community development projects in Uganda. Having spent a day at Top Barn, I can highly recommend it. Am confident you will enjoy your time there too. It was a privilege to be shown round by David. Caught a glimpse of the diversity of activity that takes place on the farm. I’ve just given you a “taster” above. 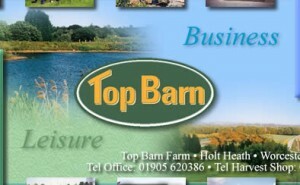 Do let us know if you visit Top Barn and what you thought about your time there.